Do you like cars? Do you want to feel extremely fast speed at the rally track? 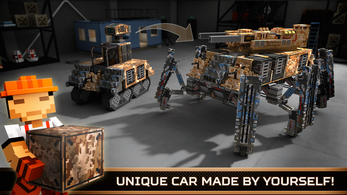 Have you ever dreamed about the game, where you can build your own car, put minigun or huge turret on it and begin epic battle against your enemies all over the world? 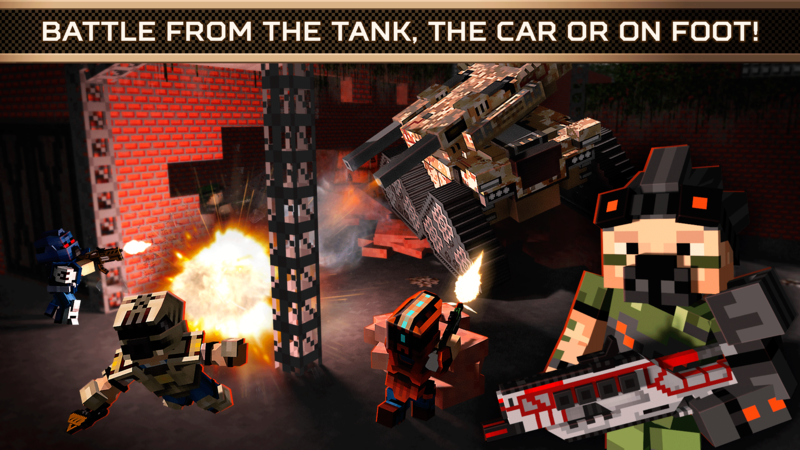 It is time to play Blocky Cars Online - unique free MULTIPLAYER Shooter with Cooperative, Deathmatch and Human battle modes! 💥 Collect blocks, craft mini cars or huge tank monsters! 💥 Big wheels, racing wheels, walkers, turbines, miniguns, sniper guns, turrets, space cars, M-16, colt, battle armor for you hero – we have it all in our weaponry to build shooting cars for battles or fast cars for races! 💥 30+ pixel guns and turrets and 90+ block for crafting and 12 maps of beautiful 3d world! 💥 Develop your own tactics, form a brigade and combat against your enemies at the hardest battlefields! 💥 Modern FPS mode, get out of your shooting car, combat, make a strike and as much overkills as you can! Now you have awesome chance to join battle among your friends, classmates and colleagues `and defeat them at pixel battlefield! You can create and customize your hero, just use skin editor and choose any modern armor! Make a blitz strike to kill your opponents! 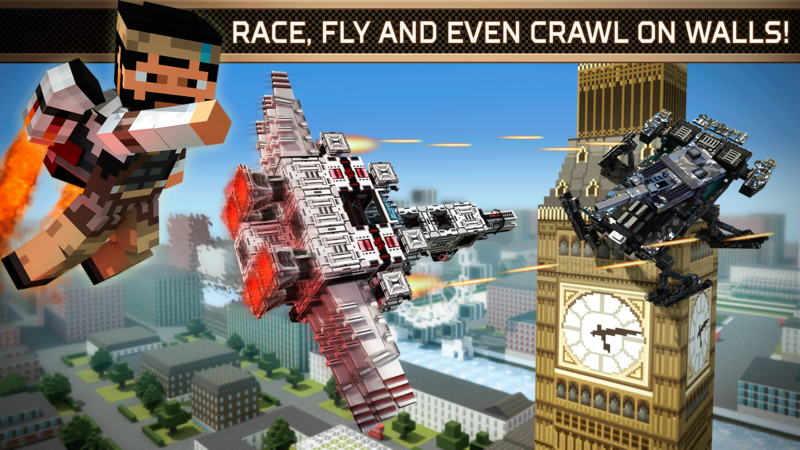 Choose your road in the blocky world! Try fast racing or epic battles in huge block cities, craft mini cars or build giant tanks and drive them in various game locations to kill the enemies and win. 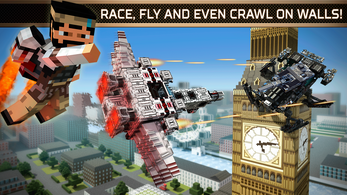 One of the best FREE blocky games in many countries! It's time to blitz with your team! 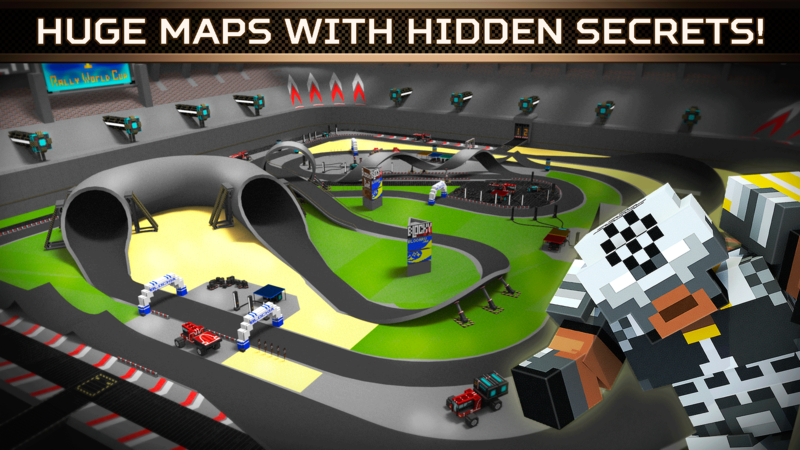 Download Blocky Cars Online now and don't miss amazing updates! More guns - More blocks - More pixel skins! 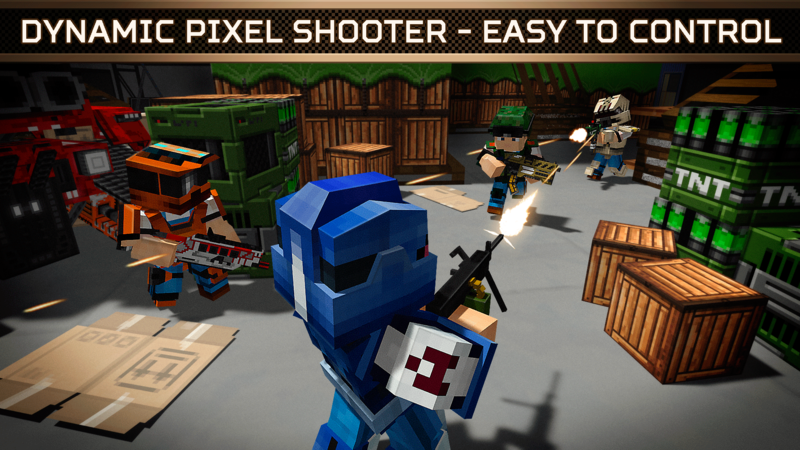 Fast shooting cars, huge pixel tanks and aggressive war robots – all in one of the best free FPS pvp shooters! 🔧 Up to 8 players in the same map in the multiplayer shooter mode! 🔧 12 different maps - block cities and pixel adventures are crafted in 3d for YOU! 🔧 Race and Death modes - customize your car and race or take the challenge in Deathmatch! - Follow us on Twitter at http://twitter.com/blockycars or like us on Facebook at http://facebook.com/blockycars to get more info about all our upcoming updates. Meet us there or on the pixel battlefield! One of the favorite holidays in #BlockyCars – Halloween! Check out the latest update with Arena mode! This is not an official Mojang app. Fahrenheit LAB is not associated or connected with Mojang AB and its game Minecraft: Pocket Ed. minecraft pe is a trademark of Mojang AB and it is not endorsed by or affiliated with the creator of this game or its licensers. This is not an official Telltale Games app. Fahrenheit LAB is not associated or connected with Telltale Games and its game Minecraft: Story Mode. MINECRAFT is a trademark or registered trademark of Mojang Synergies AB and it is not endorsed by or affiliated with the creator of this game or its licensers. They removed the facebook version? i losted everything what i had on facebook? plz make it for pc! can you please make this be a pc not apk look awsome dude gameplay minecraft!! Will you be making a version for windows? Unfortunately, we are not planning this anytime soon. Please make this pc not apk i love this its awsome i like this cool gameplay minecraft!! how do you change guns ? How u can publish game on itch.io? ?